Beach Shell Bouquet Starfish Bouquet Beach Wedding Bouquet Seashell Wedding Bouquet A seashell bouquet is a creative alternative to a flower bouquet. 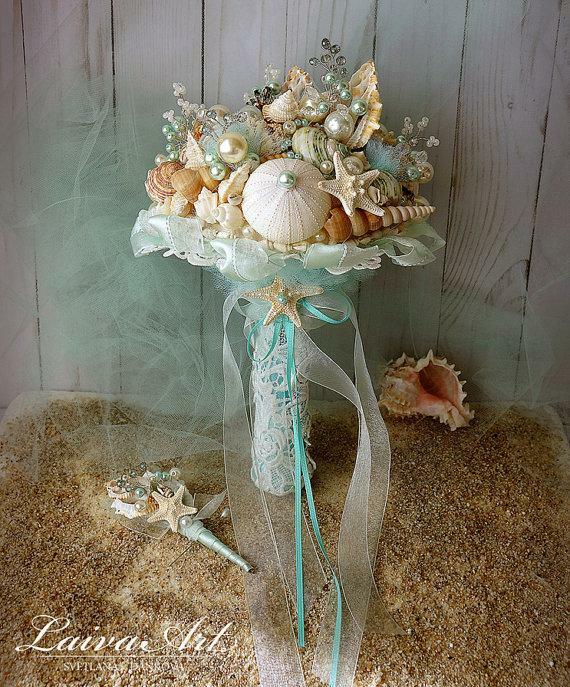 These beautifully hand-crafted seashell bouquet is perfect for Beach Brides. A variety of silk, shells, pearls, swarovski crystal beads add an elegant natural look.